Elfa shelving systems ROCK! 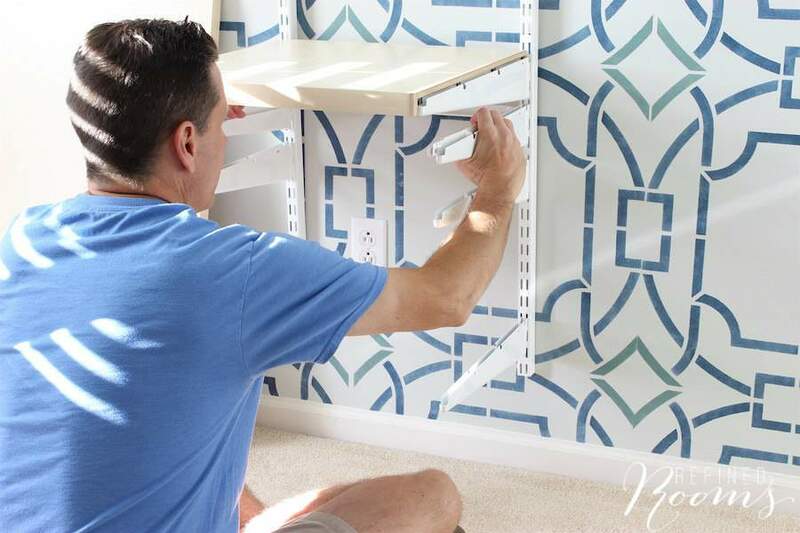 Today, I’ll walk you through the Elfa shelving installation process from start to finish and show you just how crazy easy it is to install a custom Elfa storage solution. 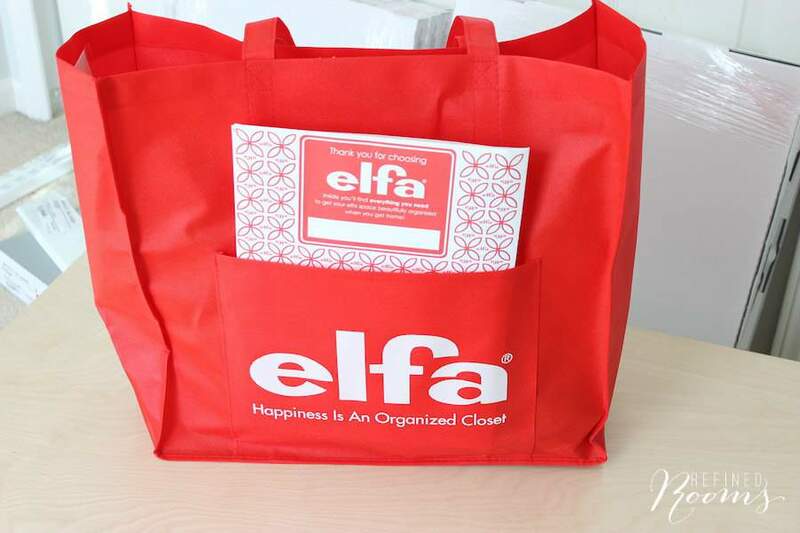 UPDATE 12/26/2017: The ELFA Storage sale is going on now! 30% off all Elfa products + 30% off installation services. Yey! Welcome to week 4 of the One Room Challenge™ ! I must say that I’m pretty darned impressed with myself…not because of any mad design skills that I possess, but for the fact that I haven’t yet succumbed to a nervous breakdown. My project is really not that involved, relative to some of the other projects that other ORC participants have taken on. But working at this lightening-fast pace has rreeeaaally taken me out of my comfort zone. In case you’ve just stumbled upon this post and haven’t read all the deets about this latest room transformation, you can learn more about the room we’re transforming (complete with BEFORE photos) HERE. You can also read all about the design plans HERE. The BIG task that we crossed off the list this week was the Elfa shelving installation project. 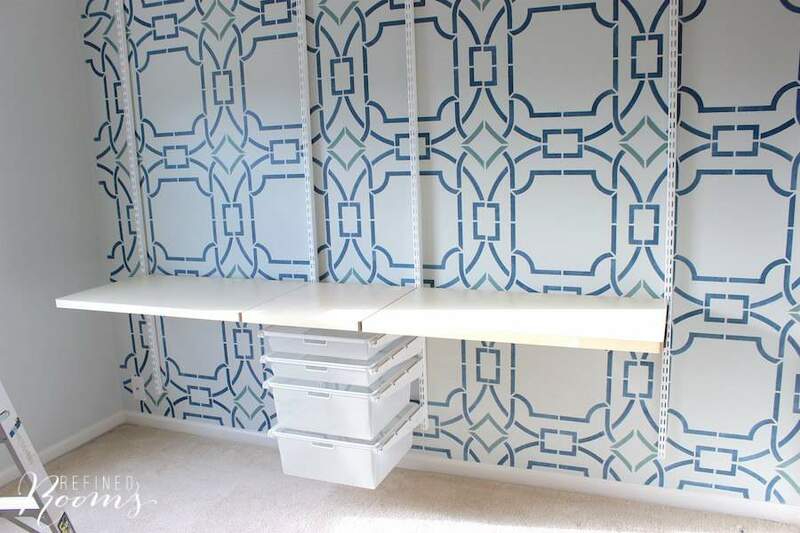 So it only makes sense that THIS room makeover would include an Elfa storage solution, right? 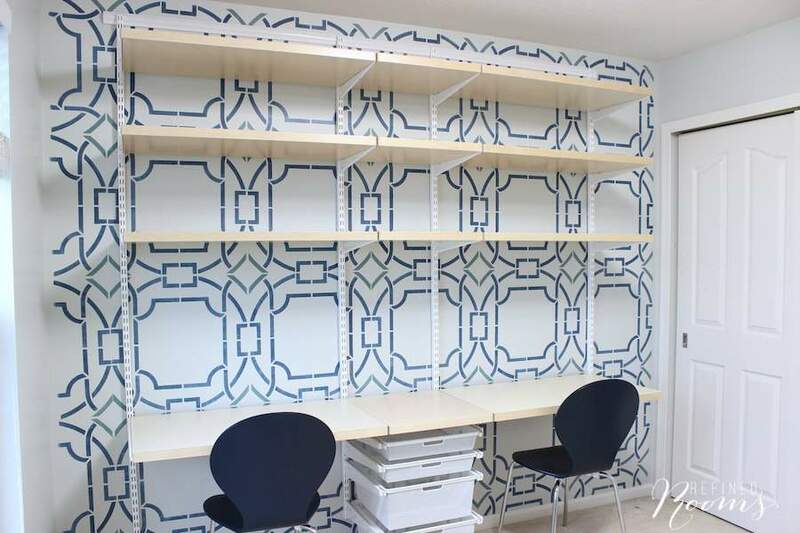 From the moment the idea for a homework room was conceived in my head, I envisioned an Elfa system that included a wall with built-in adjacent desks coupled with rows of shelving. 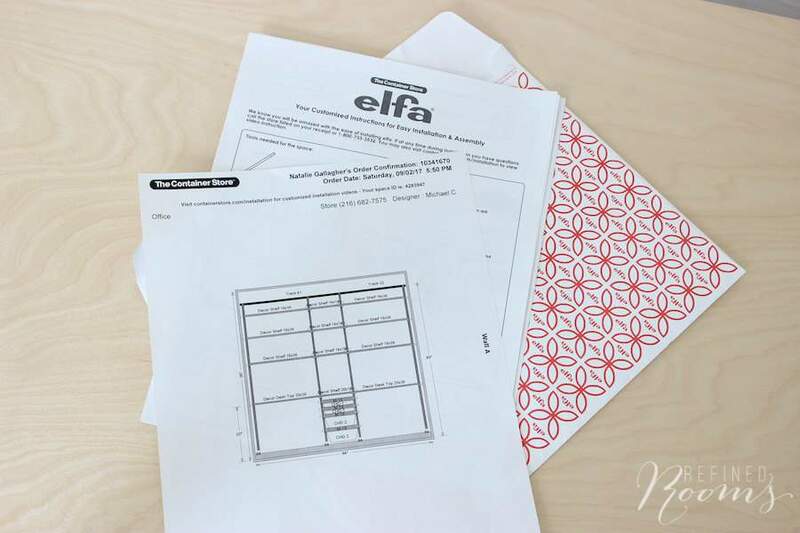 If you’re in the market for an Elfa storage system, I highly recommend getting assistance from one of the Container Store’s expert designers (either in person, or by phone if you plan to order your system online). They’re so helpful when it comes to fleshing out the specifics of your design and suggesting options that you probably wouldn’t come up with on your own. 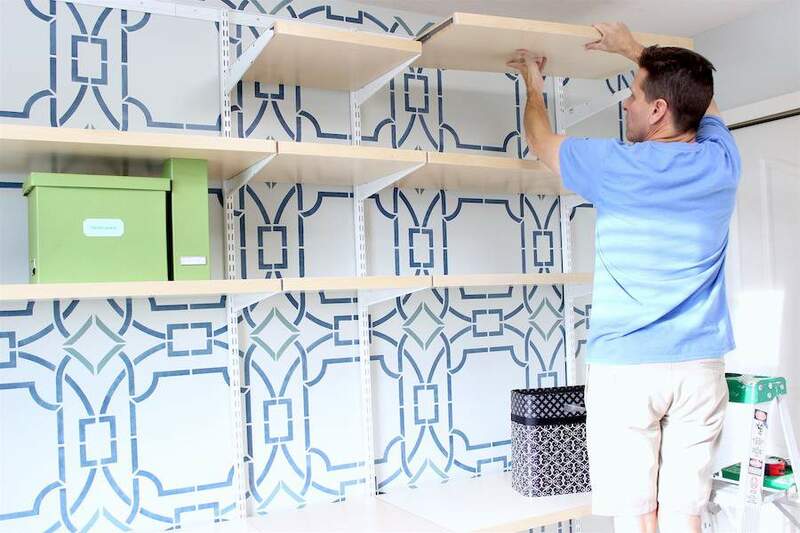 When you meet with a designer, have your measurements handy, as well as some photos of the space where you plan to install your storage system. It’s also helpful to know what types of items you’ll need to store and a rough estimate of the quantity of each item category. After I fleshed out the details of my design with my designer, I was able to purchase all of the components and take them home during my visit. I was so thankful I didn’t have to come back later, since I live almost an hour away from the store. Truth be told: I made my trip to the Container Store several weeks ago. So I’ve been staring at this set of boxes, for a while now…chomping at the bit to get going on the install once The Challenge began. 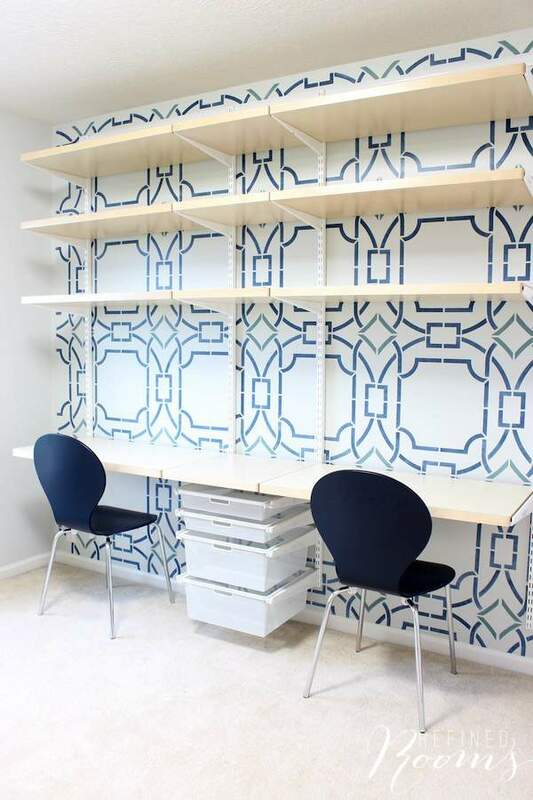 Our final design consisted of three rows of Birch decor shelves, with coordinating birch desk tops. We chose white standards and brackets to coordinate with the white finish of the furniture that will live the soon-to-be craft zone. 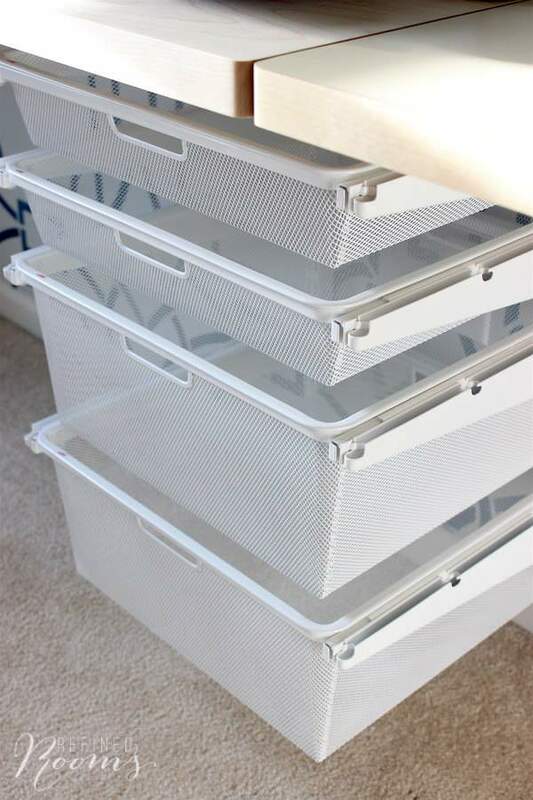 We also included a set of white mesh drawers in the design for storing all of those random office supplies that every good homework station needs. 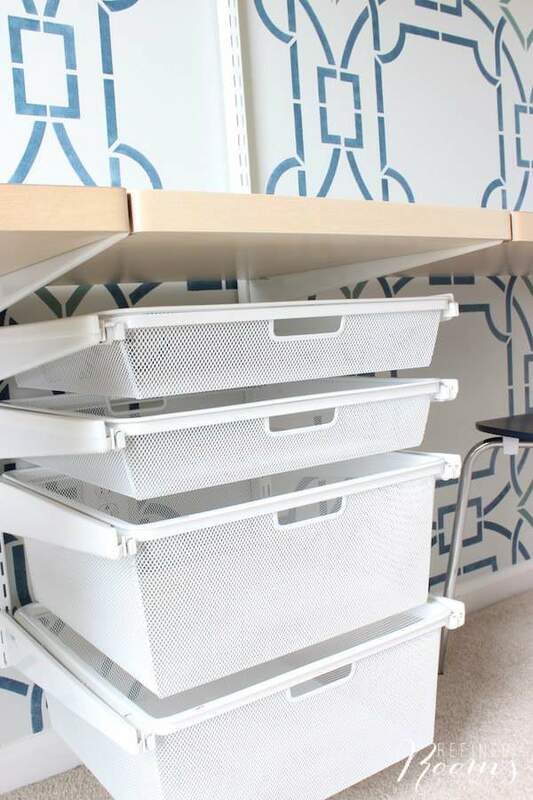 The drawers also serve as the perfect “His” & “Hers” space divider for those times that both kiddos will be working in the room simultaneously. I even went the extra mile and purchased the custom mesh drawer dividers and drawer label holders. Big props to the Container Store for their attention to detail and their uber-organized packaging methods. 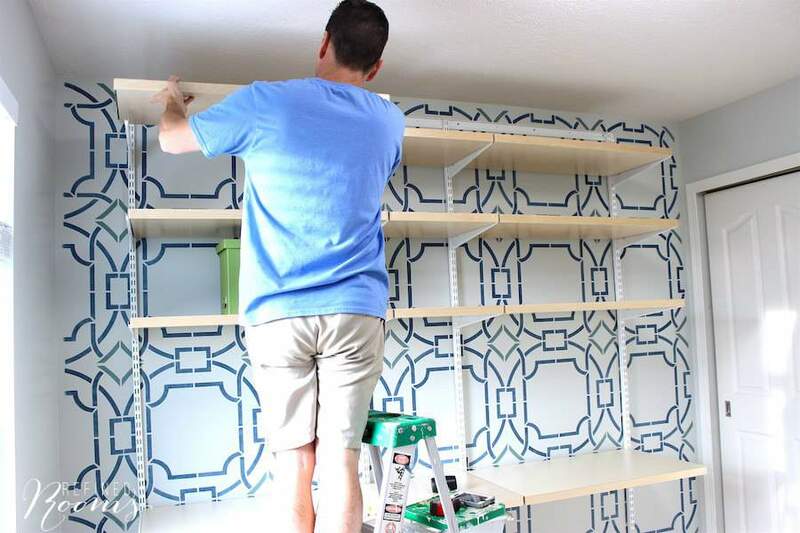 They really do make installation a breeze with the detailed written instructions they provide with your order pick up, and their online DIY video tutorials. Rather outsource the installation? They do offer installation services. 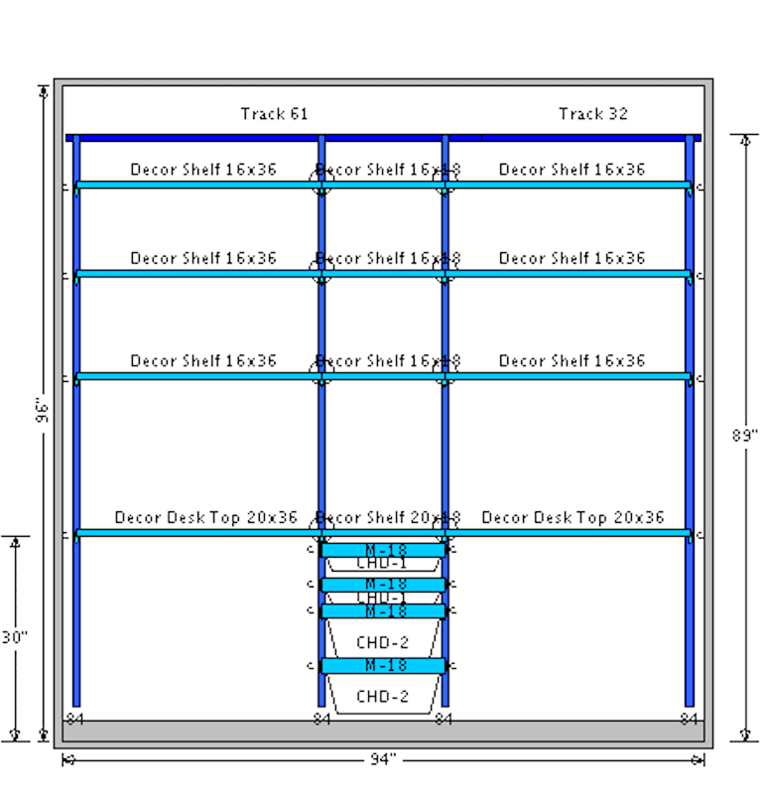 One of the many great features of Elfa storage systems is the fact that the ONLY component that gets secured to your wall is the top track. This translates into minimal wall damage, should one day you wish to remove/relocate your shelving system. Once the top track is secured, the next step in the process is to hang the uprights. You’ll need to refer to your custom design plan (using the handy spacer tool that’s included in your red bag) to correctly space the uprights across the wall. It’s time to secure the brackets (for shelving and drawers) to the uprights. Pay attention to bracket size as you work through this process. 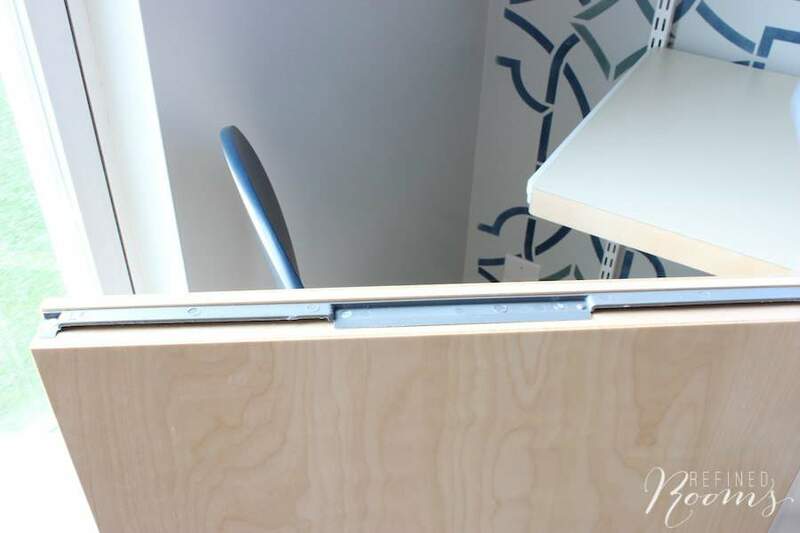 For our build, the desktops used 20″ brackets, while the shelving and drawers used 16″ brackets. Brian went for instant gratification and chose to install the drawers first. Once the brackets were installed, he attached the drawer frames, then dropped the mesh drawers into the frames. 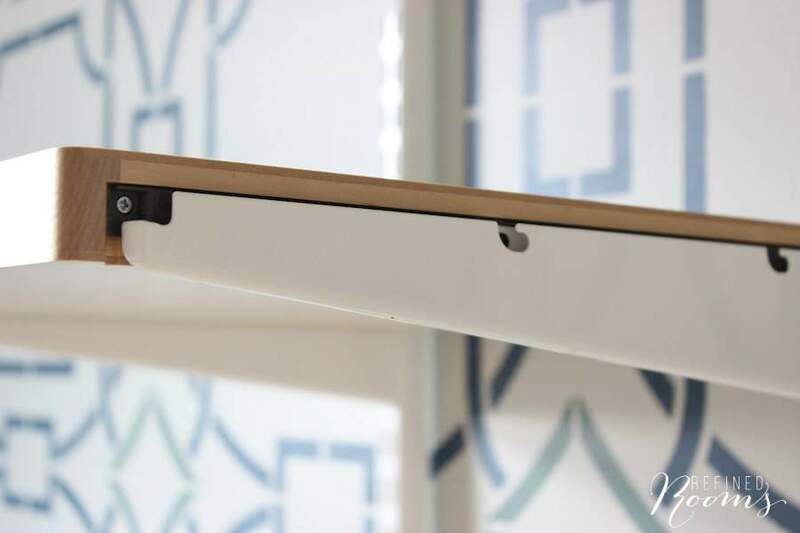 To install Elfa Decor shelving & desktops, simply line up the grooves on the shelf side with the notches in the bracket and press down firmly to lock it in place. Once we had the drawers and the desktops installed, it was time to move onto the shelves. 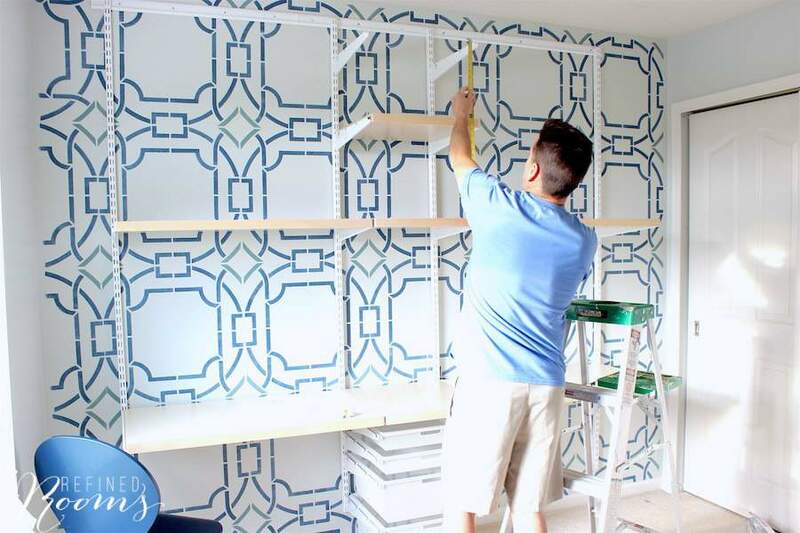 Brian repeated the process of placing brackets and locking in shelving pieces for each row of shelving. In order to determine the height of each row of shelving, we brought in a few standard size storage containers and placed the shelves at a height that provided sufficient clearance for the containers. It is an amazing thing to see your vision come to life! We couldn’t be more happy with the way this Elfa shelving installation turned out. I still need to fine tune things with the addition of drawer dividers, labels (and perhaps an Elfa utility board above each desk). Elfa shelving systems aren’t cheap. But they ARE in investment in your happiness! The materials are high-quality and extremely durable. I’ve been super pleased at how my existing Elfa storage systems have held up over years, and I’m confident that this homework zone will serve my kids well in years to come. Perhaps the best thing about Elfa storage is it’s ability to adapt over time to your changing needs, since these systems are fully customizable. 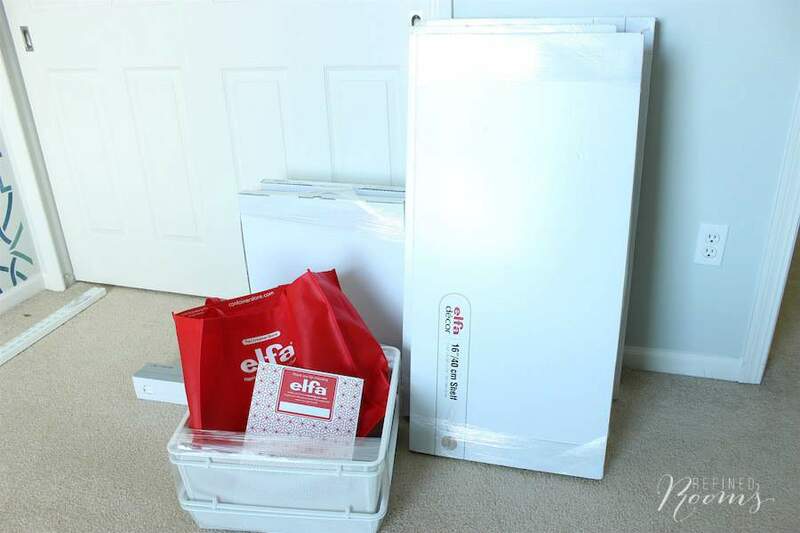 And with the wide variety of Elfa accessories, you can really create a custom storage system that functions exactly how you need it to. Even though we only crossed off two tasks from the project To Do list, they were BIGGIES (the Elfa shelving installation and assembling desk chairs). Did I mention how much I’m digging the desk chairs? My kiddos had their hearts set on these crazy expensive bungee chairs, and weren’t exactly thrilled when I told them that the bungee chairs were not in our budget. So, they already had a grudge against the chairs I selected before they ever crossed the threshold. But once we assembled these, they quickly changed their tune! Of course my son is requesting caster wheels on his chair. Hmmm…. Wait! 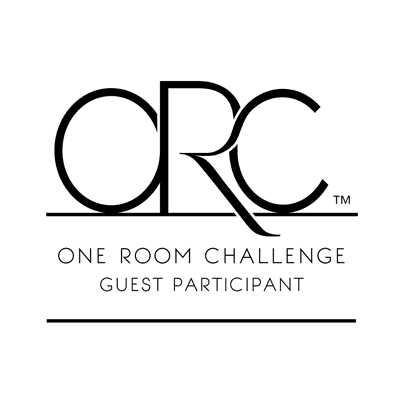 Before you go, take a few minutes to check out all the rooms that are being transformed by both the featured participants and my fellow guest participants in this season’s One Room Challenge over at Calling It Home! I am so obsessed with this space. That wallpaper is everything. Perfectly perfect! Oh I love the way this looks. 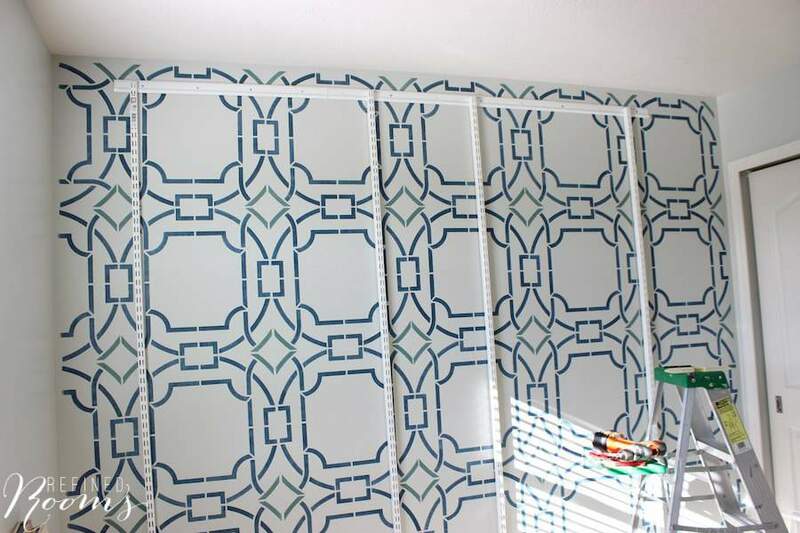 I was worried about adding shelves over my stenciled wall (that it would look too busy) but you have really proven that it works. Thanks! amazing!! love how the wall mounting hardware disappears into your walls and the shelves look like they are floating! 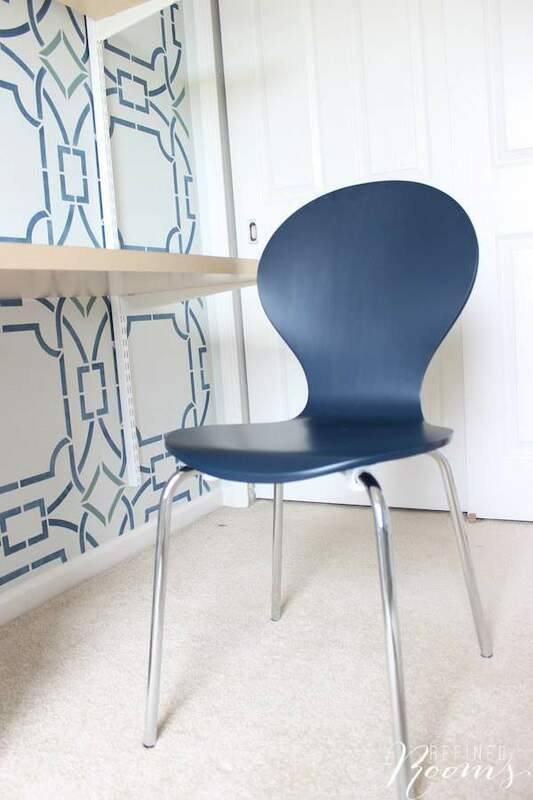 STill crazy about the stencil work and that blue chair … BRAVO! Love it! 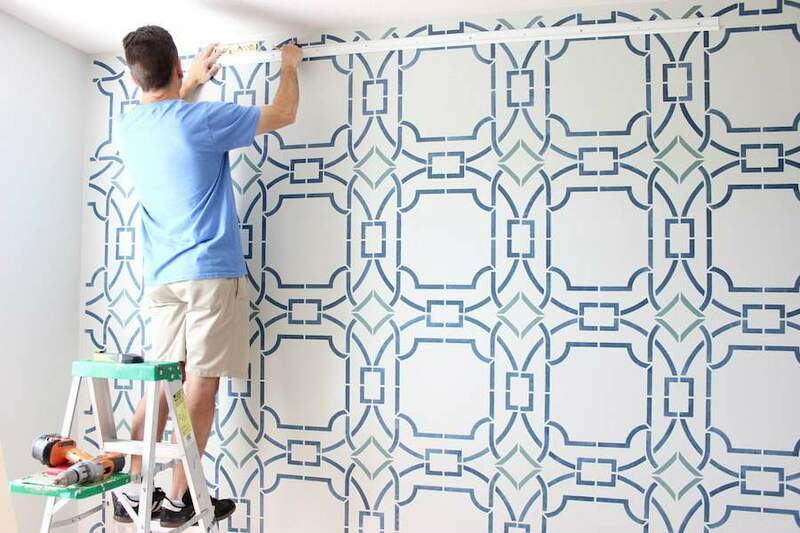 I am still drooling over your stenciled wall – it is that cool. And the desk and storage system looks great floating over it. Such a great homework space – can’t wait to see it when the shelves are filled! 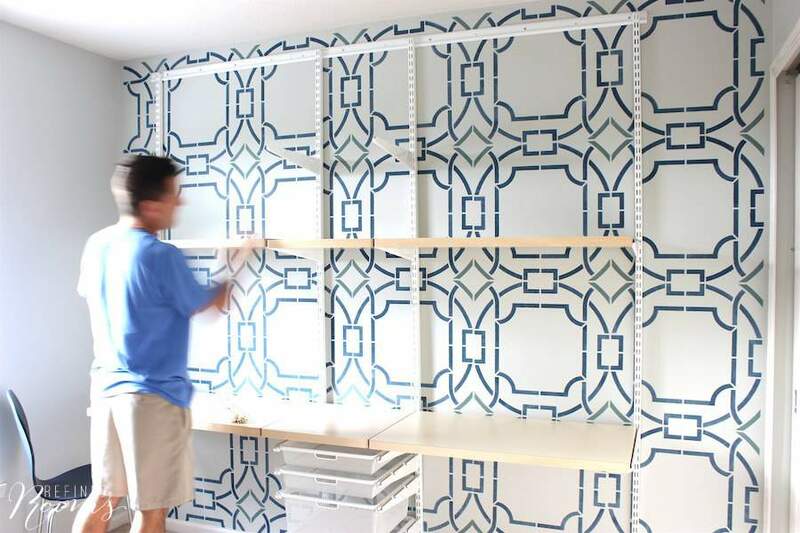 Ok, the photo of your stenciled wall and new Elfa storage stopped me in my tracks. It looks SO GOOD. I love the Elfa stuff but I’ve never pulled the trigger on any of the wall systems. Does it shift around a lot since it’s not bolted in place to the wall in several places? I had no idea it was only attached at the top. Thanks a million Rachel! As far as the wall system shifting, the answer is No (I know, surprising, right?). The shelving/standards are sufficiently heavy that the weight of the system alone keeps it stationary. Once you add the weight of the items you’re storing on the shelves, it’s even more solid. Take the plunge!